It was a tough start to the week; Caterpillar (CAT) and Nvidia (NVDA) pummeled out of the gate. The question is how many of their disappointments are indicative of their respective industries and the broad market. I could argue both have individual issues, especially Nvidia, which has suffered a massive correction in step with the massive decline in cryptocurrencies. However, there is a common overarching narrative that the global economy is vulnerable, and the United States is still firing on all cylinders, even if it’s slower than last year. 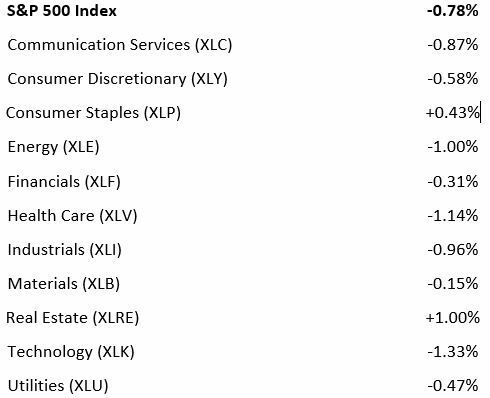 All the key indices held at critical support points and rebounded into the close as investors found comfort in Consumer Staples (XLP) and Real Estate (XLRE) names. Meanwhile, I was struck by the new highs versus the new lows. Overall, it was an ugly session on Monday. After the close, it didn’t get any better when Whirlpool (WHR) posted mixed results and guidance below consensus. Even though raw material and tariffs hit North America by $30 million in the fourth quarter, the region still stands out big time in 2019. Unfortunately, the other parts of the globe aren’t going to be as robust. Reports after the close indicate that acting Attorney General Matt Whitaker says the Mueller investigation is close to being completed. He hopes there will be a report from Director Mueller as soon as possible. Please, let’s bring this thing to a close. The United States increased economic pressure on Nicolas Maduro to relinquish his claims to the presidency of Venezuela. The avalanche of earnings release continues today with all eyes on Apple (AAPL) after the closing bell. The stock of the morning is 3M (MMM). The company posted results that beat on top and bottom line, and while guidance is slightly below consensus, there was a sense things could have been worse. The best sector is Industrials, with revenue of $3.0 billion up from year ago and operating margin of 21.2 from 19.6. For Global, it was the United States that carried the company during the quarter, as Asia and Europe stumbled and then collapsed. MMM is the number four most influential stock on the Dow, so the initial reaction in the stock is offsetting declines in other Dow components that posted results this morning. Let’s hold off on a new idea this morning.